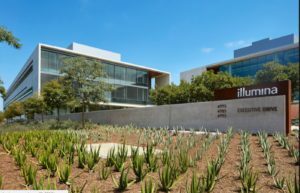 As innovative leaders in the scientific world, Illumina is working to unlock the power of the genome to advance technologies ranging from cancer research to agriculture. The company has experienced exponential growth over the past years, prompting the construction of a new facility several blocks from the headquarters as well as functional and aesthetic improvements to the main campus – including a parking garage tensile facade. When designing the facade, we focused achieving the greatest impact with a highly cost-effective approach. After all, Illumina’s resources are best spent changing the world. 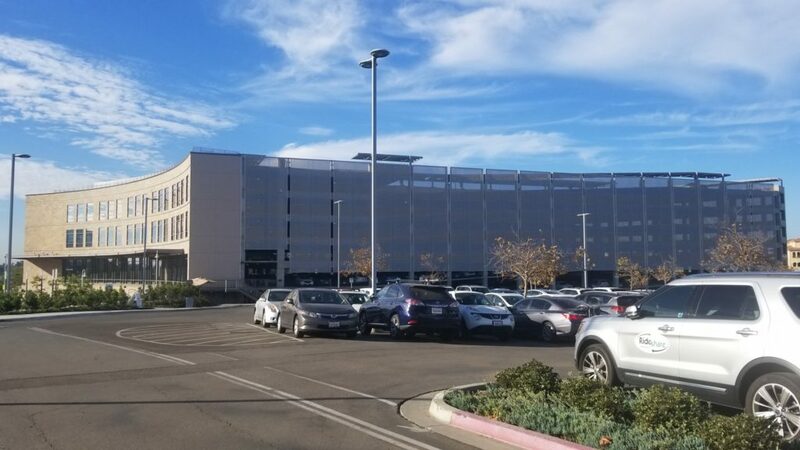 Located just off the 805 freeway in San Diego, Illumina’s headquarters features a six-story parking garage that’s clearly visible from one of Southern California’s busiest thoroughfares. The company wanted to soften the look of the structure – providing an enhanced visual appeal to the thousands of drivers who passed by each day. The parking garage tensile facade required the use of a lightweight fabric to avoid overloading the existing construction. We chose Serge Ferrari Soltis FT381, a versatile PVC Mesh Membrane, and created a grid pattern that mimicked the construction of the attached building and surrounding buildings. The option to employ graphic printing on the membrane was considered, but it was decided that the desired effect could be achieved by strategically cutting and sealing two standard colors. 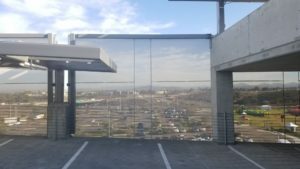 With the 28% porosity of the membrane, we were able to achieve one of the top project goals: maintaining visibility from inside while blocking nearly all visibility from outside. Additionally, membrane will help to block a substantial amount of heat (aka solar heat gain) during the hot California summers. The framework was created with patented FACID 65 technology, which uses a system of perimeter profiles, joint profiles, and outside corner profiles to create clean, sharp edges and corners. The installation team clipped and tensioned the fabric in the field to ensure top quality at a fast and efficient pace.